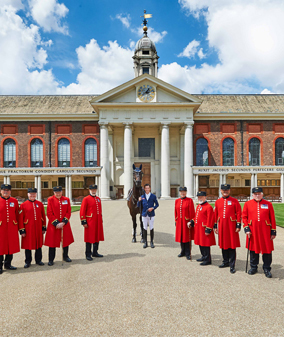 The Longines Global Champions Tour returns to London for another year of world-class showjumping, and will be held in the beautiful grounds of the Royal Hospital, Chelsea. LGCT brings together top showjumpers from around the globe to compete in prestigious locations for unprecedented prize money. This year, in its 13th year, starts in the spectacular destination of Mexico City, with the introduction of St Tropez and the addition of the magical city of Prague to the star studded 2018 calendar. The Championship spans three continents and takes in the world’s great cities including Paris, Monaco, Madrid, Miami Beach, Shanghai, Rome and Doha, and we’re delighted that London is on the agenda too. The year’s event will feature the sport’s Olympic and World Champions, including Great Britain’s Rio Olympic Gold Medallist Nick Skelton and members of the London 2012 Olympic Games Gold Medal Team. To be part of the action, book tickets here. 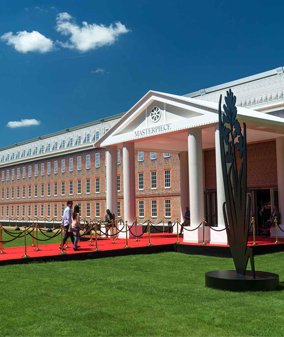 The unmissable Masterpiece Art Fair returns this summer to Royal Hospital Chelsea from 24 June – 5 July. The art fair, at the height of the Capital’s summer arts season, offers the finest works of art, design, furniture and jewellery, from antiquity to the present day. It provides an unparalleled opportunity for new/established collectors to discover exceptional works of art from 160 international exhibitors. This year, expect highlights from Picasso, Richter, Monet and Pissarro as well as 20 Chippendale pieces on display in Thomas Chippendale’s tercentenary year. Returning for its fourth year, Live at Chelsea is back as one of the highlights of the summer season. 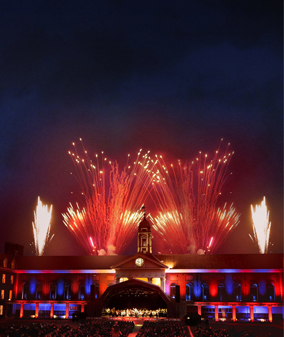 Set in the idyllic Royal Hospital, home to the iconic Chelsea Pensioners, this is a beautiful setting to enjoy a fun, music-filed summer’s evening. Spreading across four evenings, 14 – 17 June, enjoy headliners Kaiser Chiefs, James Blunt and Imelda May.